Idol Concerts and INK present STEREO LOVE a Romanian National Day Special Event inside #SocialSaturdays at Cube on December 5th! 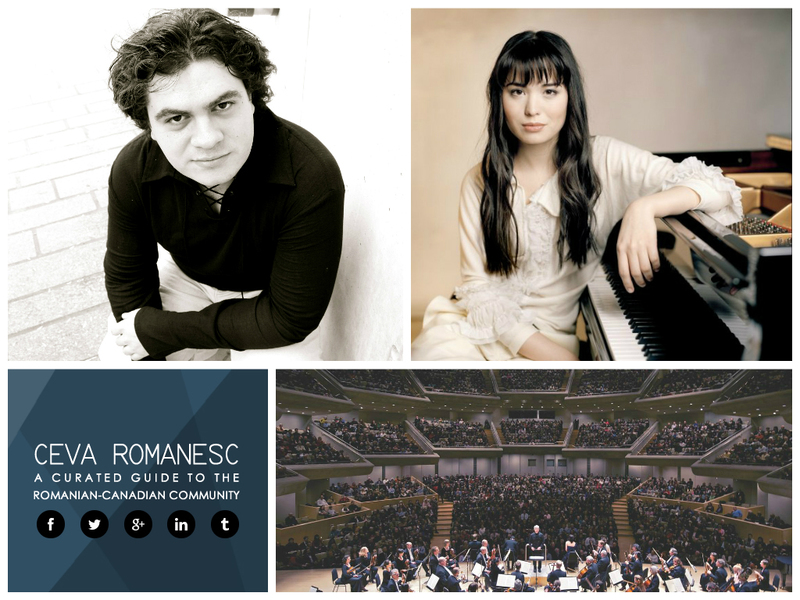 Toronto Symphony Orchestra presents Best of Tchaikovsky with Cristian Macelaru (conductor) and Alice Sara Ott (piano) at Roy Thomson Hall on December 3rd and 6th. 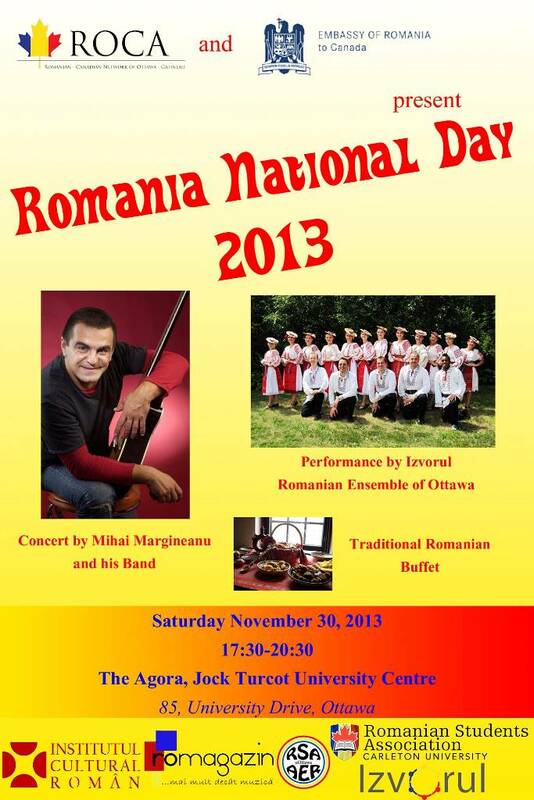 The Romanian Embassy to Canada and the newly established Romanian-Canadian Network of Ottawa-Gatineau (ROCA), would like to invite you to the Romania’s National Day Celebration. 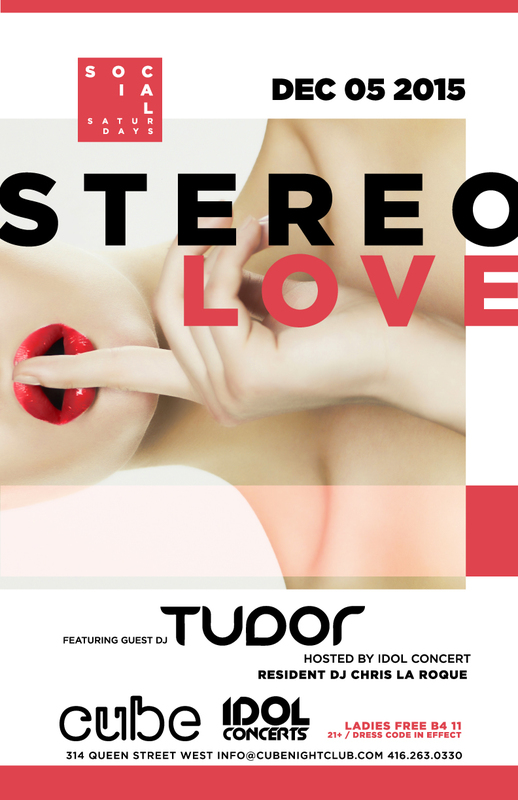 Idol Concerts Events and INK present STEREO LOVE SOCIAL SATURDAYS a Romanian National Day Special Event w/ Dj Tudor at CUBE on November 30! 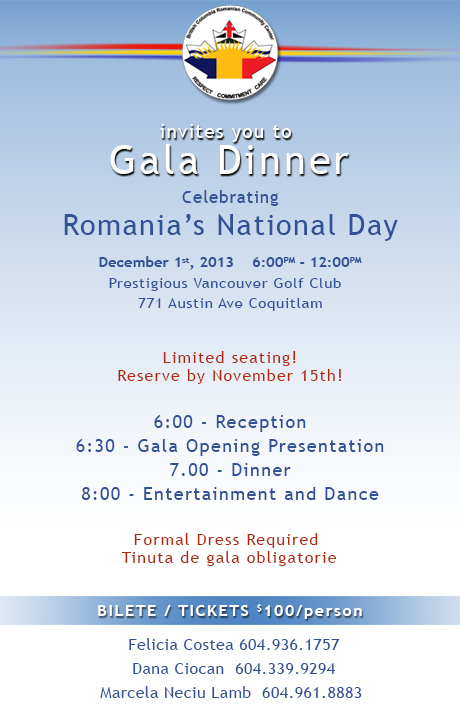 The BC Romanian Community Center (BCRCC) invites you to Romania’s National Day Gala Dinner at Vancouver Golf Club on December 1st. 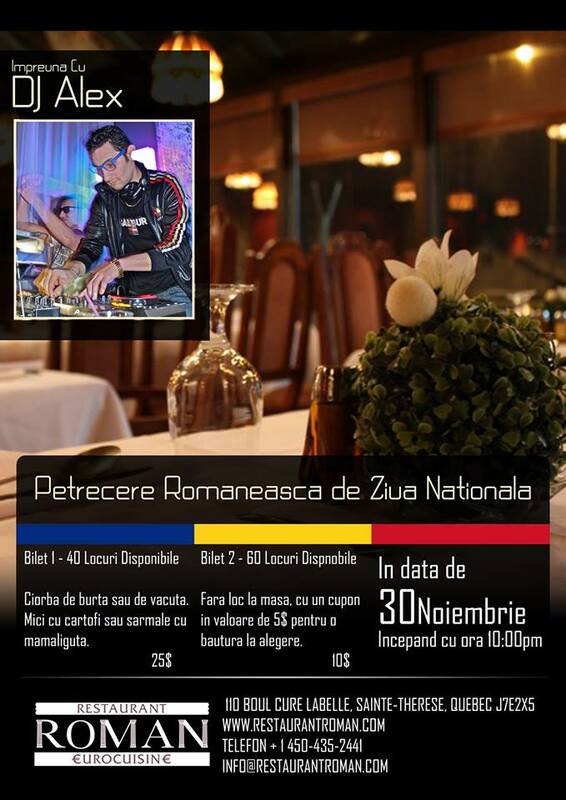 Restaurant Roman Eurocuisine va invita la Petrecere Romaneasca de Ziua Nationala pe 30 noiembrie 2013. 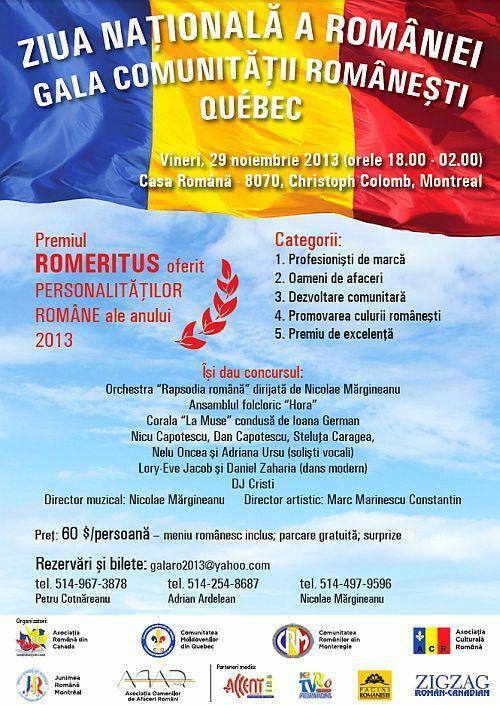 PUR (Party, Chef, Bairam) prezinta Petrecerea de Ziua Nationala a Romaniei “PUR 1918” pe 30 Noiembrie in Old Port of Montreal. 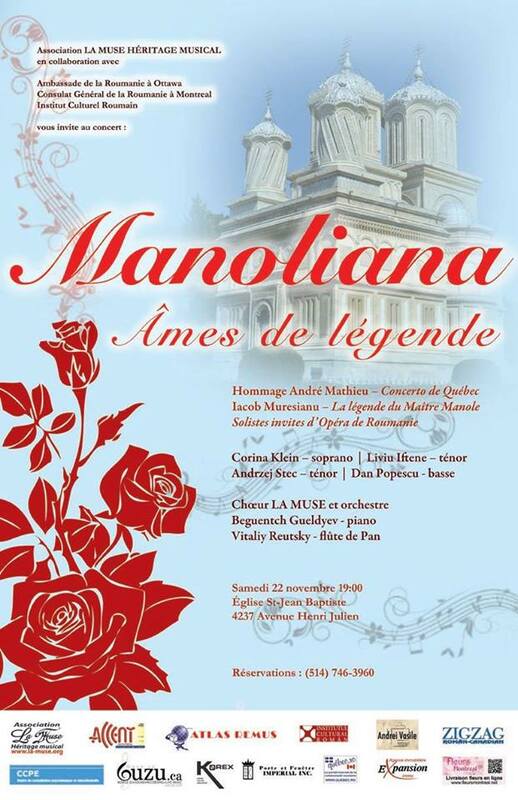 A II-a ediţie a Galei Comunităţii Româneşti din Québec va avea loc la Casa Română din Montreal – EVENIMENT ANULAT. 1 Decembrie – La multi ani Romania! Alexandra Stan, cea mai premiata si apreciata artista dance in 2011, isi surprinde publicul din nou, de data aceasta prin lansarea unei campanii inedite.